Use this window in order to bulk-import MSG files back into Outlook. It also supports importing entire folder hierarchies (folder with subfolders), preserving folder structure. Select a file folder from which to import MSG files. Enable if you would like to import from subfolders as well. The import process will maintain the folder structure. 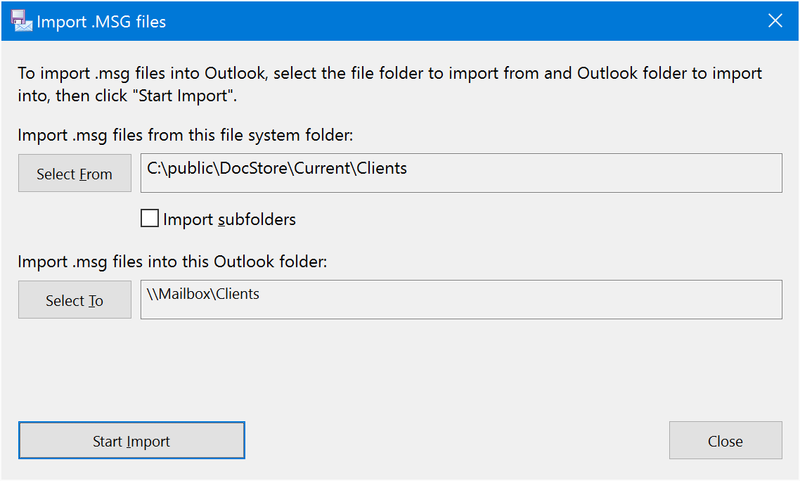 Select Outlook folders into which to import MSG files. Click to start the import process.